A woman hears that her former lover thinks she's lost her looks... Ow! The muted maturity of the whole central romance here was probably rare if not unique in fiction of the time. The gentle acknowledgement that even worthy people can be guilty of snobbery adds a cynical, though tolerant, note to certain portrayals. 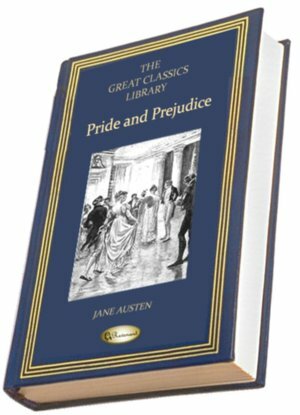 While the story overall seems to have a touch less "traction" then some of Austen's more architecturally plotted tales, the characters hold our sympathy and our interest. The self-effacing heroine's neglect by her proud father and sister recalls the situation of Dickens' Amy Dorrit. She felt that she could so much more depend upon the sincerity of those who sometimes looked or said a careless or a hasty thing, than of those whose presence of mind never varied, whose tongue never slipped. He had imagined himself indifferent, when he had only been angry. "Let those who would be happy be firm." Personal size and mental sorrow have certainly no necessary proportions. A large bulky figure has as good a right to be in deep affliction, as the most graceful set of limbs in the world. But, fair or not fair, there are unbecoming conjunctions. NOTE: The pride and affection of a loving sister can readily be detected here - two of Austen's brothers were in the navy (both became admirals). "The sea is no beautifier, certainly; sailors do grow old betimes; I have observed it; they soon lose the look of youth." His profession was all that could ever make her friends wish that tenderness less, the dread of a future war all that could dim her sunshine. She gloried in being a sailor's wife, but she must pay the tax of quick alarm for belonging to that profession which is, if possible, more distinguished in its domestic virtues than in its national importance. The Mr Musgroves had their own game to guard, and to destroy, their own horses, dogs, and newspapers to engage them, and the females were fully occupied in all the other common subjects of housekeeping, neighbours, dress, dancing, and music. He was cut short by the eager attacks of the little boys, clinging to him like an old friend, and declaring he should not go; and being too much engrossed by proposals of carrying them away in his coat pockets, &c., to have another moment for finishing or recollecting what he had begun..
"Nursing does not belong to a man; it is not his province. A sick child is always the mother's property: her own feelings generally make it so." He more seriously described the woman he should wish to meet with. "A strong mind, with sweetness of manner," made the first and the last of the description. "That is the woman I want," said he. "Something a little inferior I shall of course put up with, but it must not be much." "We certainly do not forget you as soon as you forget us. It is, perhaps, our fate rather than our merit. We cannot help ourselves. We live at home, quiet, confined, and our feelings prey upon us. You are forced on exertion. You have always a profession, pursuits, business of some sort or other, to take you back into the world immediately, and continual occupation and change soon weaken impressions." "Songs and proverbs, all talk of woman's fickleness. But perhaps you will say, these were all written by men." "Perhaps I shall. Yes, yes, if you please, no reference to examples in books. Men have had every advantage of us in telling their own story. Education has been theirs in so much higher a degree; the pen has been in their hands." "It does come, you know, we women never mean to have anybody. It is a thing of course among us, that every man is refused, till he offers. " Everybody has their taste in noises as well as in other matters; and sounds are quite innoxious, or most distressing, by their sort rather than their quantity. "One likes to hear what is going on, to be au fait as to the newest modes of being trifling and silly. To me, who live so much alone, her conversation, I assure you, is a treat." "I used to think she had some taste in dress, but I was ashamed of her at the concert. Something so formal and arrange in her air! and she sits so upright! My best love, of course."" "Oh! those things are too common. When one lives in the world, a man or woman's marrying for money is too common to strike one as it ought. I was very young, and associated only with the young, and we were a thoughtless, gay set, without any strict rules of conduct. We lived for enjoyment. I think differently now; time and sickness and sorrow have given me other notions; but at that period I must own I saw nothing reprehensible in what Mr Elliot was doing. 'To do the best for himself,' passed as a duty." "His reading has done him no harm, for he has fought as well as read." "No, I did not promise. I only smirked and bowed, and said the word 'happy.' There was no promise."" They were gone, she hoped, to be happy, however oddly constructed such happiness might seem. "You are mistaken,"" said he gently, ""that is not good company; that is the best. " Here was that elasticity of mind, that disposition to be comforted, that power of turning readily from evil to good, and of finding employment which carried her out of herself, which was from nature alone. It was the choicest gift of Heaven; and Anne viewed her friend as one of those instances in which, by a merciful appointment, it seems designed to counterbalance almost every other want.